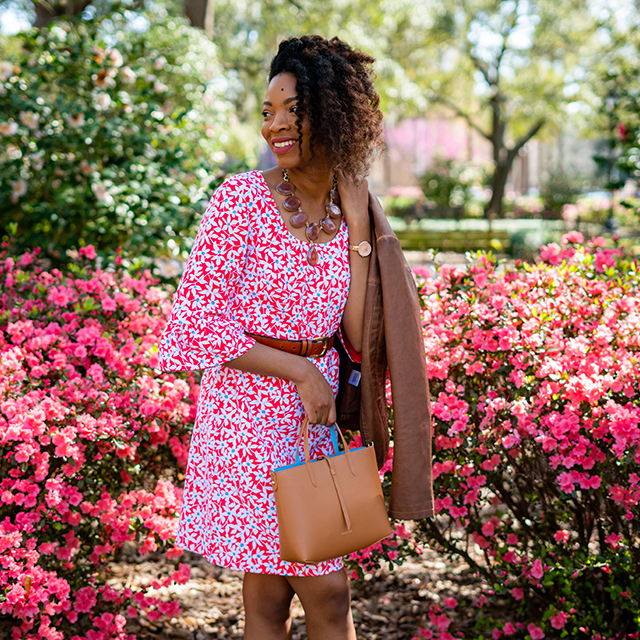 Whether she’s shucking oysters, sipping sweet tea, or touring us around her hometown of Charleston, Monica Lavin’s beautiful contributions to the Love, Reese blog prove her Southern prowess. 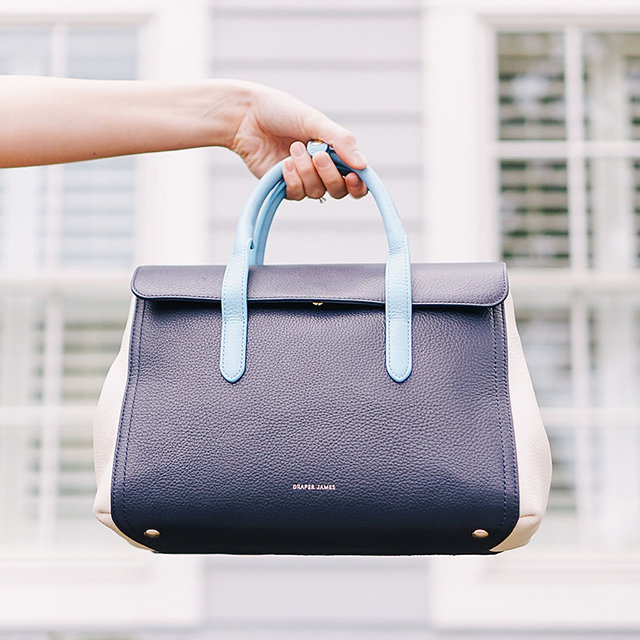 And when the stylist and Lavin Label blogger decided to cross the country for a mini-vacay to wine country, we had no doubt her crisp and classic sensibility would translate seamlessly, no matter her GPS coordinates. 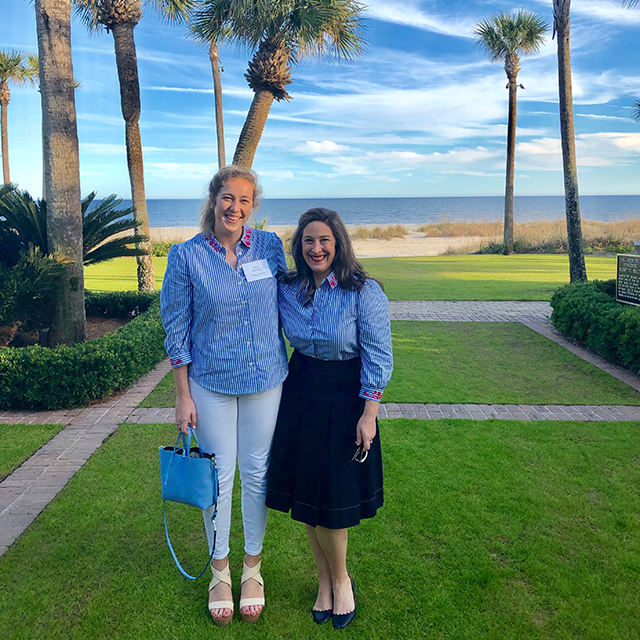 We’d like to think it helped that she brought our Draper James Embroidered Short Sleeve Button Down along! 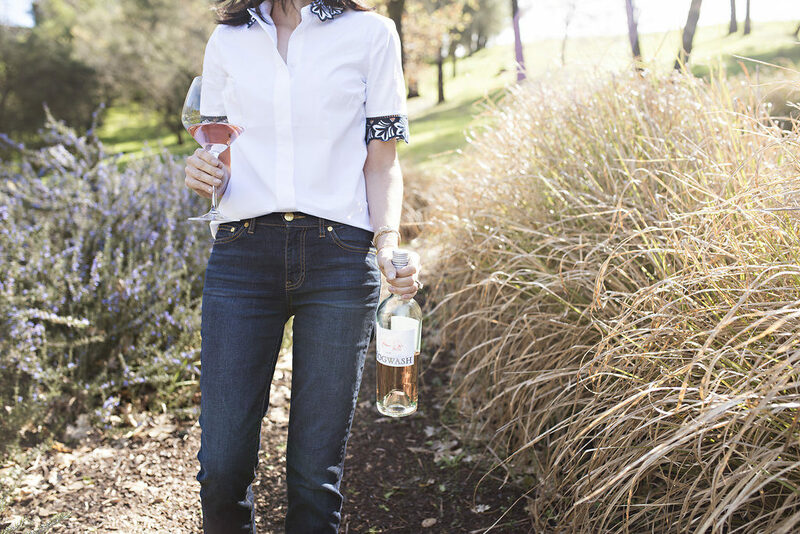 See how Monica styled Draper James for a trip to the vineyards of Napa Valley, and see her Napa Valley travel guide for loads of useful tips. 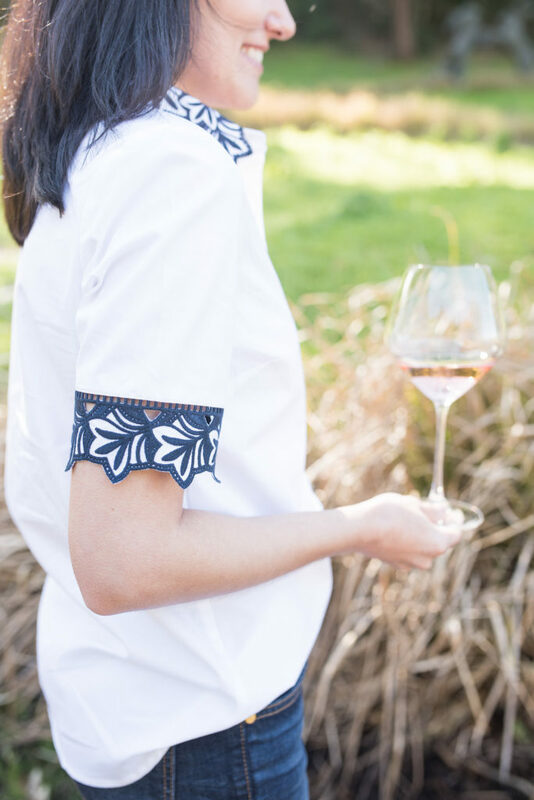 What better way to welcome spring than with a glass of rosé and a trip to Napa Valley? 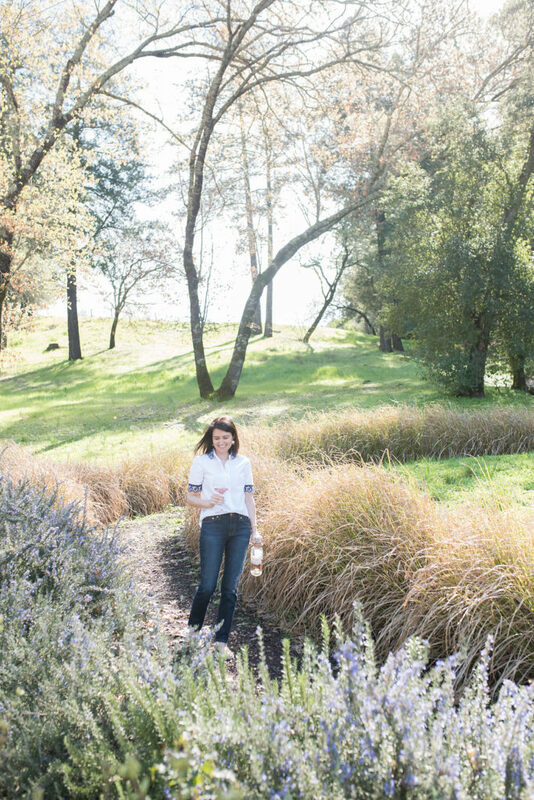 A few weeks ago, I traveled to San Francisco for work and while we were out west, we decided to spend a few days in Napa for some relaxation and inspiration! Which wines did you enjoy most? All of them! I was especially looking forward to exploring the vineyards of my favorite rosé, Hogwash! So we started our trip to wine country at Tuck Beckstoffer Wines. 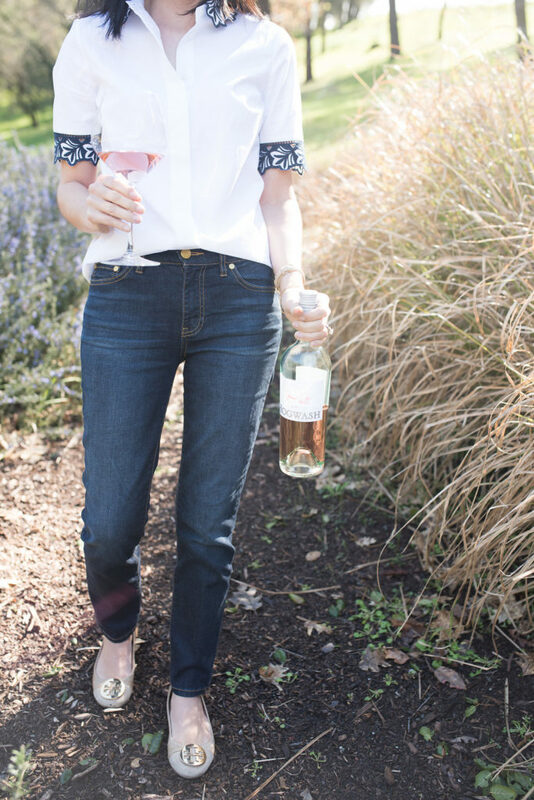 Rosé is a great wine to enjoy outdoors, so it’s a perfect pairing for us Southerners. What drew you to the Draper James Embroidered Short Sleeve Button Down and how did you style it? 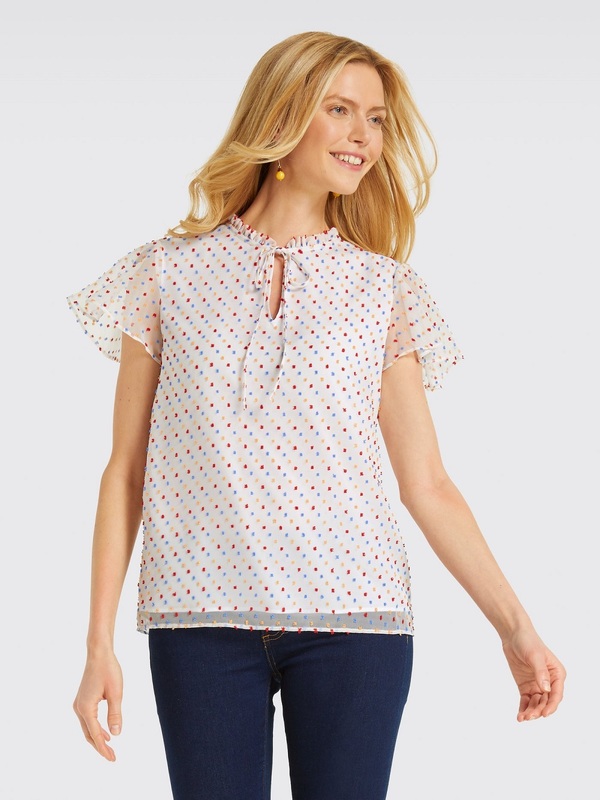 I love the classic shirting style, but I especially love the embroidery details of the sleeves and collar. 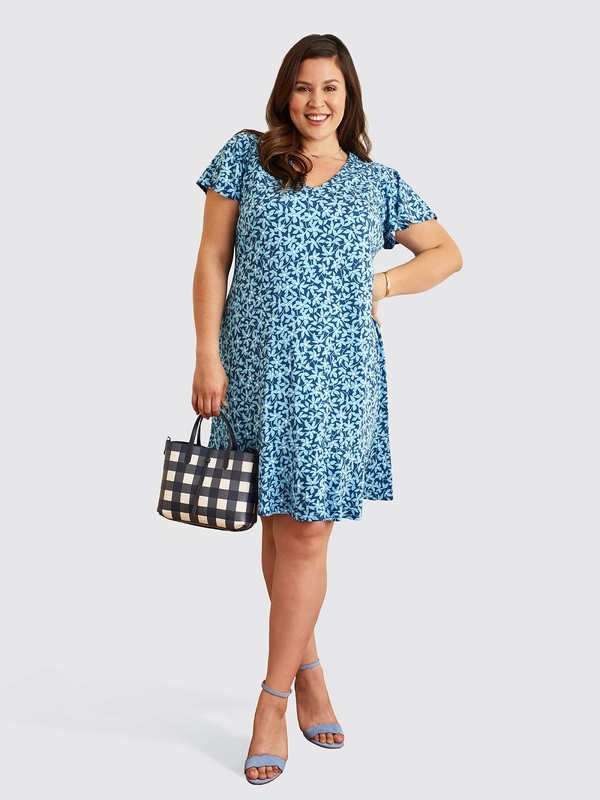 It’s perfect for Napa because it’s casual enough to wear all day, but the details add a special touch. I opted to wear it with a dark crop jeans to compliment the navy embroidery. And since I was walking the vineyards all day, I threw on a pair of neutral flats for comfort. 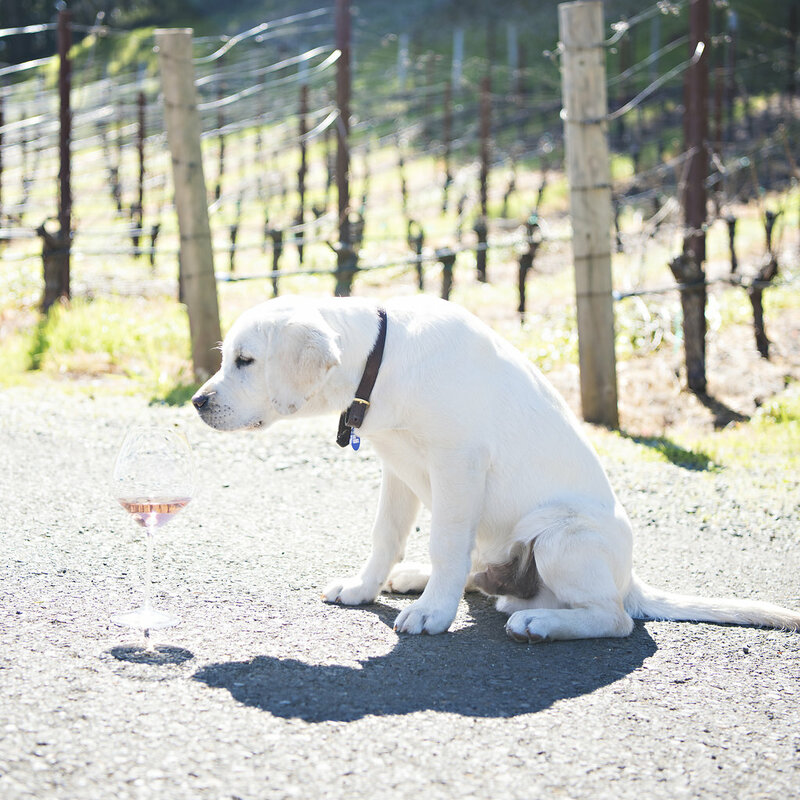 Monica enjoys the Hogwash Rosé at Tuck Beckstoffer Wines alongside Hank Williams, the vineyard owner’s six-month old lab. 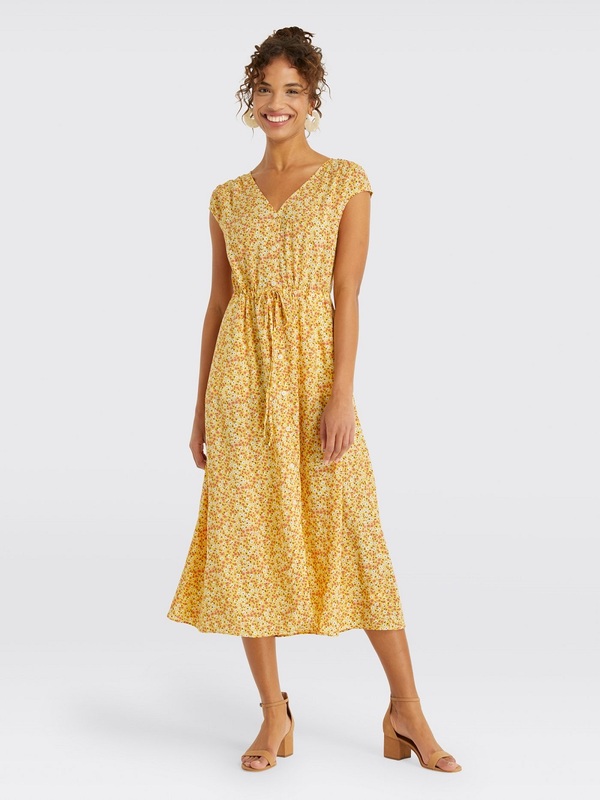 What are your thoughts on styling lace? I think of lace as romantic and timeless. 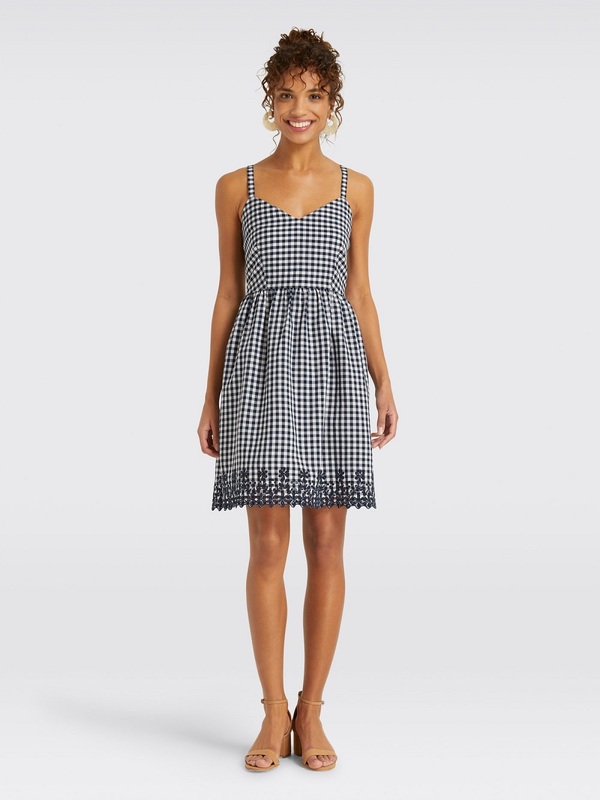 Since lace is already intricate design, I’d recommend pairing it with simple silhouettes to wear during the day. Too much lace can be overpowering, so you want to pay extra attention to how you accessorize. Three tips for a first trip to Napa? First, plan in advance. Know which vineyards you want to visit and learn which wines they’re offering during their tastings. If you’re more of a white wine lover, don’t schedule a tasting with a winery that makes only Cabernet and Pinot Noir. Secondly, If you’re heading to Napa in the high season, I’d recommend planning out your meals and making reservations in advance. 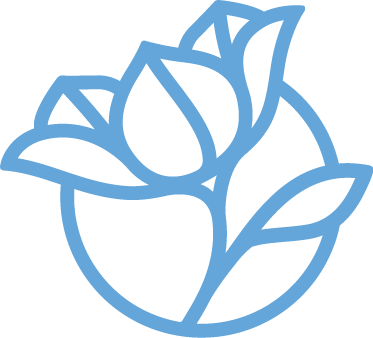 For dining, I’d recommend Bellota, Bouchon, and Bistro Jeanty. Lastly, taste the olive oil, too! 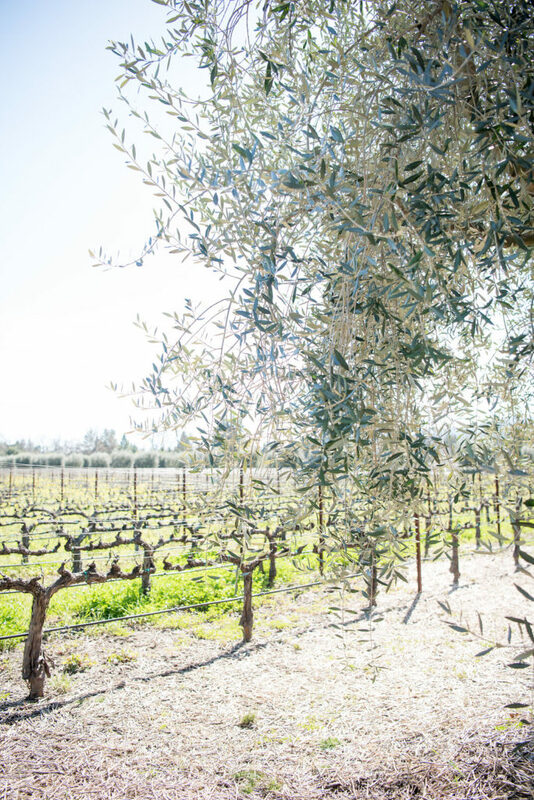 Napa is known for producing several varieties of olive oil so don’t leave without a bottle. 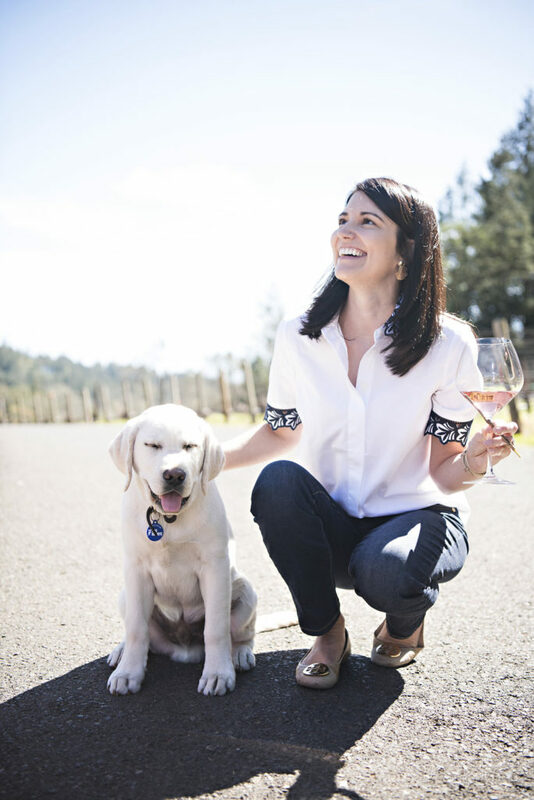 If you’re looking for more travel recommendations in Napa Valley, check out my travel guide on Lavin Label. Thank you for sharing!! 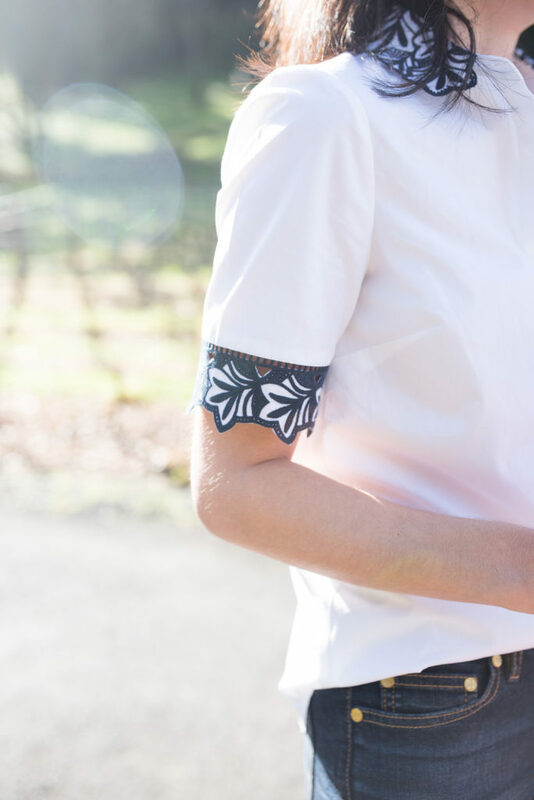 The embroidered button down is one of my favorite tops of the season. Love the jeans…and the puppy!